You have finally decided that the best way to protect your personal or business information while you use the Internet is subscribing to a Virtual Private Network (VPN). Now you have to decide which VPN service is right for you and your requirements. This can be a daunting task, since there are so many VPN providers saying they are the best and even writing reviews about how good their services are. Because of this problem, we have decided to help you out. We are not obligated to any one VPN service and are completely independent, so we can advise you about which VPN providers are the best and help you decide which is the right VPN for you. However, you still need to take a look at each VPN service we recommend to see which one fits your needs. Even though we have done most of the work for you to find the right VPN, you still need to do some work to make the decision. Since you have to do some of the work, we want to tell you what to look for in the right VPN service. Everyone around the world is concern about their finances. This makes the cost of a VPN subscription important. There are some good free VPN services, but they really are not free. These services will sell your information to marketing firms and you will get spam mail in your email box all the time. Also, when you use these free VPN services, you will be fighting through pop-up advertisements and ads on all the pages you look at when you surf the Internet. This makes the paid VPN service more attractive, because these services do not do any other this. When looking for the right VPN service and then paying for a subscription to that service, you need to pay attention to not only the monthly price, but also the savings you can get for a longer subscription. You can find a service for as little as $6 a month, like the one at Hidemyass.com, but you will save a lot of money in the long run if you subscribe for 12 months. The initial cost is more, but overall you can save as much as 40 percent each month. The other things you need to look for is the bandwidth. If you plan on watching streaming videos online, then the more bandwidth a VPN service provides will mean the right VPN service for you. Some of the VPN service base their prices on how much bandwidth you want. 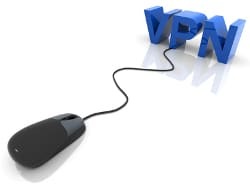 You will also want to look at the different security protocols each VPN service offers. This is important because if you plan on traveling outside your home country, then you will want the most secure protocols available. For example, if you travel to China on business or vacation, but want access to Netflix in the United States, you will not get it if you use PPTP, because China blocks that protocol. However, China cannot block the SSL protocol because even the banks in China use this security protocol. After researching thousands of VPN services to find the right VPN services to recommend for you, we have compiled a list of the top 10 VPN. We rated these services based on the number of countries each one has servers located, the access speed or bandwidth offered, the different protocols available, the ease of set up and, of course, the cost. We assembled an expert team of researchers from around the world and subscribed to all of these services to recommend the right VPN for your needs. Based on our finding, anyone of these five, will be the right VPN for you, but you still need to look at each one yourself.